Susanne loves the community of children’s writers and illustrators. One of the deeply emotional moments of her life was being awarded an Order of Australia for children’s literature. She’s launched a lot of books; spoken at many festivals and schools throughout Australia and internationally, from Beijing to New York to Bologna. She writes social realism seeking to reach young people and adults through story. Her children’s novel I Am Jack is a rite-of-passage children’s book based on her son being bullied at school, written before the world wide recognition of the critical need to stop bullying. I Am Jack has been adapted into an acclaimed play which has toured theatres in Australia and is touring the USA in 2014-2015.Her JACK series is in pre production as a TV series. Butterflies her YA novel has just been published in the USA, and listed as in the Banks Street Best YA Books. Her books are endorsed by organisations including the Cancer Council, Children’s Hospital Westmead (Sydney), Life Education, The Alannah & Madeline Foundation and she is a patron of Monkey Baa Theatre, former Chair of the NSW Writers Centre, and an Ambassador for Room to Read. Caz writes picture books, short stories and novels for children. Over the past decade, she has lived and worked in Singapore and Melbourne, Australia (where she is now based). She has had over 25 short stories, poems and books published. Her first novel for younger readers, Curse of the Viking Sword, was published in 2008 and won a first time writers award. Her new picture book, Dragon’s Egg, received a Singapore National Arts Council award (Beyond Words Young and Younger) and the publisher has recently sold the Korean Language rights. She has co-edited a book of short stories and is currently working on a middle-grade fiction series. Sheryl Gwyther writes historical, adventure and fantasy novels for middle-grade readers, chapter books, short stories and school plays. Hailing from Brisbane, she loves being the SCBWI ARA for Queensland. Her new novel with HarperCollins Australia, Sweet Adversity is set in the Great Depression with a brave but vulnerable hero, Addie, a Shakespeare-quoting cockatiel called Macbeth, a tribe of lost children and a pair of dastardly villains to chill your bones. Sheryl’s awards include two ASA Mentorships and two May Gibbs Children’s Literature Trust Fellowships. She was also awarded a SCBWI Work-of-Outstanding-Progress Grant and a SCBWI Regional Advisors Marketing Grant, both for Sweet Adversity. She is currently working on a new novel set in 1920 in Australia, a most fascinating time. Frances Plumpton has always been an ardent advocate for New Zealand’s children’s literature and has convened both New Zealand Post and LIANZA children’s book awards. After a long career as a children’s librarian she joined Richards Literary Agency, NZ. In 2012 she has established her own agency, Frances Plumpton Literary Agency. She is a trustee of Storylines Children’s Literature Charitable Trust of New Zealand and in 2006 was awarded their Betty Gilderdale Award for services to children’s literature. Marjorie Crosby-Fairall is an award winning illustrator whose books include Brothers from a Different Mother (Penguin Random House), One Christmas Eve (Black Dog/Walker Books), Mrs Dog (Five Mile Press), The Croc and the Platypus (Walker Books, shortlisted for Speech Pathology Award), My Little World (Ominbus, an imprint of Scholastic, shortlisted for the Wilderness Society Environment Award). She was awarded the CBCA Eve Pownall Award for her first picture book Killer Plants (Penguin). She lives in Sydney and works as a freelance illustrator undertaking an eclectic range of projects, including illustrations for educational publishers, trade book publishers, and magazines. Kelly’s debut picture book, Fancy Pants, was published by Little Book Press in 2016. Across South Australia, over 20000 preschool children received a Little Big Book Club pack this year. These packs included a copy of Fancy Pants which was recently shortlisted in the Speech Pathology Book of the Year awards. As a part time relief teacher, Kelly is keen to read books and talk about writing with students from many preschools and primary schools. Much of her inspiration comes from the extraordinary children she meets or the everyday events which happen in the home she shares in Adelaide with husband, Steve, and two terrific boys. Her next picture book is due for release in 2018 with HarperCollins. Anne Morgan is a successful published children’s author, poet, playwright and winner of The Children’s Book Environmental Award for The Smallest Carbon Footprint 2014. She has a PhD in Writing, for which she won a university medal, and a Master of Education Degree. As the Festival Director of the inaugural Bruny Island Children’s Literature Festival 2015, she partnered with SCBWI to hold a professional publishing day. Christina is a teacher, landscape artist, children’s book illustrator and picture book writer. She started her publishing career as an illustrator to great writers such as Colin Thiele, Max Fatchen and Christobel Mattingley. In 2007 Christina’s first picture Book, Purinina, A Devil’s Tale (Lothian Hachette) was published. Kip won an Honour Book Award in the 2010 CBCA Book of the Year Awards and Welcome Home (Ford Street Publishing) won the Environmental Award for Children’s Literature in 2014. Having spent her childhood getting into trouble for sketching in class, Sarah now gets paid to paint, scribble and shade to her heart’s content, and can hardly believe her luck. Since 2008 she has had 17 books published in Australia and overseas, and her work has been shortlisted for 18 awards in Australia and New Zealand. In 2009 she was awarded the Crichton Award for Best New Australian Illustrator for her work on Mending Lucille by Jennifer Poulter (Hachette). Her work has been shortlisted twice for the CBCA Book of the Year award, Violet Mackerel’s Brilliant Plot by Anna Branford (Walker Books) being awarded Honour Book in 2011, and Colin Thompson’s Fearless (ABC Books/Harper Collins) being awarded the CBCA Junior Judges award, and six regional Children’s Choice awards. She just finished a hilarious book about a Toucan, which is drove her crazy. Andrea’s experience includes illustration for greeting cards, stationery, commissioned paintings, and animation. Andrea’s first picture books 10 Silly Wombats and 10 Funny Sheep (Ed Allen, Scholastic) were published in 2013. She is currently illustrating the Ava Anne Appleton series (Wendy Harmer, Scholastic, 2013). Inspired by wildlife, nature, people and humour, her illustrations are created with watercolour, pencil, and ink. Liz Anelli was born with an intense curiosity about the world. She started drawing as a child around the same time as getting told off in school for daydreaming. Today she makes her pictures using collage and printmaking as well as paint and pencils. Her publishing commissions for children’s markets have ranged from picture storybooks to young adult narratives, projected ‘speed drawings’ and huge scale illustrated maps. Liz came to live in Australia two years ago and has been formally recognised many times by her peers. She has just finfished illustrating her second picture storybook for Walker Books Australia. Dale is an artist and illustrator whose work has appeared on gallery walls, in newspapers and magazines, and in books for children. She loves giving form to stories, characters, worlds and dreams. She is currently illustrating Julie Hunt’s forthcoming graphic novel, KidGlovz, to be published by Allen & Unwin in 2015. Jenny is an established illustrator and author, with 20 picture books and over a million copies in print. Her watercolour style is sweet and pretty. Her pencil style is bright with primary colours and pretty sweet, too. Her digital flap books are bold with naïve black outlines … but still rather sweet. Before publishing, Jenny spent 18 years as an advertising illustrator and copywriter. She lives with her husband and draws from a long marble table overlooking Sydney’s bushland. She keeps her stamina up with double choc Tim Tams. Aura is an illustrator, writer & designer who makes prints, textiles and picture books. Her work is joyful, imaginative and brimming with details to explore. Aura works freelance from her studio in Sydney and has just released her first children’s picture books. Aura also designs and exhibits screen prints and handcrafted textiles at Studio Bonnie. She has a background in graphic design and a passion for children’s literature. Charlotte is the author of the 2012 junior novel The Ghost at the Point and the CBCA 2010 Notable Picture Book Stuck!, both published by Walker Books. Also YA novels Settling Storms, Cupid Painted Blind, Surviving Amber and Paper Alice, published by Pan Macmillan. She lives with her husband near Orange in the central west of NSW with Toggie the Tibetan Terrier (now the human children have left) and other assorted animals. 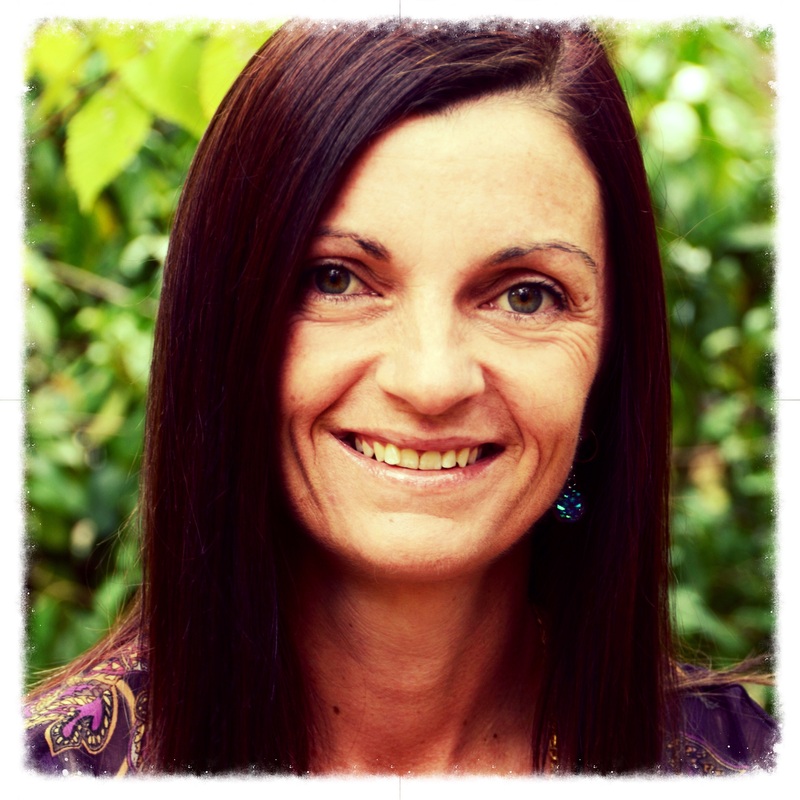 Ramona lives in Sydney and is an experienced primary teacher with a specialty in Art & Design. She writes picture books, junior fiction and middle grade novels for children. She has a passion for rhyme, quirky stories and historical fiction. Ramona hopes to be able to share her own books in the classroom one day. Jo Burnell has loved children’s literature ever since she could read. She relishes the privilege of spreading the word about quality tales through her voluntary roles at www.kids-bookreview.com and the Good Reading Magazine. When she’s not playing with children in her role as a Speech Pathologist or embroiled between the pages of yet another wonderful children’s story, she’s busy writing up a storm or editing someone else’s work. Serena Geddes spent most of her childhood watching Saturday morning cartoons and flicking through her brothers’ comic collection. She was destined to spend her adult days hunched over a light box, scribbling illustrations for picture books and working for a mouse in trousers. She spent six years working for Walt Disney Studios in Sydney before diving head first into the world of book publishing in 2009. She’s the illustrator for Gracie and Josh by Susanne Gervay (Ford Street), Lulu Bell by Belinda Murrell (Random House Australia) and Misty Inn (Simon & Schuster USA). Jacqui Halpin has a passion for children’s books— to read them, and to write them. Jacqui writes junior fiction, picture books, and short stories for adults and children. Her first picture book titled, Parmesan the Reluctant Racehorse is published by Little Pink Dog Books. Her short stories appear in anthologies by Stringybark Publishing and Creative Kids’ Tales. She is currently writing a middle-grade historical adventure series inspired by her father’s childhood on a farm called Misery. Jacqui is an enthusiastic member of SCBWI Queensland; loves hanging out in KidLit bookshops, and also attends writing festivals and workshops with alarming regularity. Ann Harth is a children’s writer, ghostwriter and manuscript assessor keen to share her stories and knowledge. She lives amongst the tropical rainforests in the hinterland behind Cairns, a true paradise. Ann has just signed a contract for a middle-grade novel with Odyssey Books. Children’s author and illustrator, Angela Sunde writes novels, picture books and short stories. Her light-hearted fantasy novel, Pond Magic (Penguin Australia), is popular with tween readers. Awarded 3rd place in the CYA Conference ‘Illustrated Picture Book’ competition and short-listed (twice) for the Charlotte Duncan Award, Angela hopes to inspire the dreams of children everywhere. Recently retired from school counselling, Ali Stegert is taking her writing career to the next level. She’s written four kidlit novels, one of which was repped by a New York literary agent. 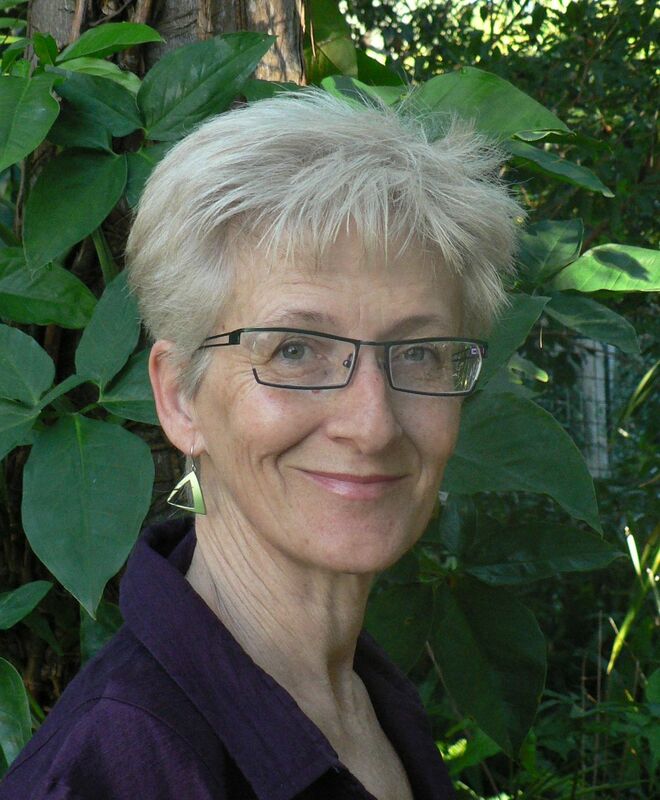 Her prize-winning kidlit writing has garnered interest from Australian and overseas publishers. In 2017 she won an Australian Society of Authors mentorship to work on her middle grade novel The Temple of Lost Time. Alison has published magazine articles and works as a freelance content creator in the education and social enterprise sectors. She blogs at Spilling Ink, a digital literary emporium. Emma Middleton creates children’s literature and illustrations that provide young children with a sense of wonder, delight and unlimited possibility. The wellspring for Emma’s creative passion is fed by her love of reading and art-making, and a 15-year career as a professional ballerina; and the deeply rewarding experience of teaching a generation of children at her own ballet school. Now, Emma has found in children’s literature, a place where her passions have a natural creative connection; where literature comes to life in her picture books through the rhythm of music, the drama of story and the colour of art. Some of her work includes the delightful picture books, The Lion in our Living Room and The Bear in our Backyard (illustrator, Briony Stewart). Gillian Torckler is a medical scientist, mother, scuba diver and writer. Her first book was published in 1999, a coffee table book called Underwater Wonders of New Zealand, and her first children’s book, Kiwi Adventures Snorkeling, followed in 2002 – a combination of fact and fiction this book was set in New Zealand’s first marine reserve at Goat Island Bay, North Auckland. Since that time, another eleven books have been published. These include non-fiction (mostly about the sea and creatures that live there), a picture book (about global warming) and two gift books published in the USA. Most of Gillian’s non-fiction books feature stunning photographs taken by her husband, award-winning photographer Darryl Torckler. Gillian is currently working on a longer natural history non-fiction title for the general market and a middle grade novel. A former scientist, glass artist and lecturer, Gay McKinnon left academia in 2010 to fulfil a lifelong ambition to illustrate children’s books. Her first book as illustrator, The Smallest Carbon Footprint in the Land (Anne Morgan, IP Kidz, 2013) won The Wilderness Society’s 2014 Environmental Award for Children’s Literature. She has since illustrated two picture books, When I Was a Boy in Sudan and When I Was a Girl in Sudan (Sarafino Enadio, Paskalina Eiyo and Terry Whitebeach, Anzoa Books, Tasmanian Writers Centre, 2014). Gay is currently illustrating a picture book for Scholastic Asia, and will launch her first picture book as author-illustrator in 2016. Her glass art and paintings have been exhibited in Australian galleries since 1991. Gay is also the author of numerous scientific articles, travel articles, and a book chapter on plant evolution. Nicole’s picture books not only captivate little readers, they also influence the hearts and minds of families. With topics ranging from elephants being used to entertain tourists (Ella, 2016), to ocean pollution, whaling and driftnet fishing (Billie, 2018), Nicole’s books have found a niche and are striking a cord with children, families and teachers. Nicole was one of two people worldwide (one author and one illustrator) awarded the SCBWI tribute fund scholarship to attend the SCBWI New York City conference in February 2018. The scholarship is awarded to individuals seen as being on the verge of a career breakthrough. Nicole likes to think the scholarship acted as a crystal ball when her manuscript, Jelly-boy (2020 release), about a jellyfish falling in love with a plastic bag, was subsequently signed with Walker Books Australia. In her spare time, Nicole, along with a talented committee, helps support authors and illustrators in the ACT. Shaye Wardrop wants to live in a world where pet dragons are commonplace, drinking tea out of buckets is socially acceptable and reading books is a genuine career choice. When she’s not dreaming up names for her definitely real pet dragon, Shaye writes fun, funny and quirky stories for kids, blogs randomly at shayewardrop.com and reviews books for Kids’ Book Review. Grace Bryant is a budding children’s author and illustrator. She aspires to publish picture books that illuminate mental health and wellness issues, inspire others to love literature and that create spaces in which imagination can thrive. Grace works full time at the University of Canberra. She describes herself as whimsically pragmatic, or as a practical daydreamer. Cate Whittle writes for children and young adults, and her first children’s book, Trouble at Home, about a dragon and his young friend, Georgia, was published by Omnibus Scholastic in 2016, followed by three others in the series. Her middle grade novel, Wyrd was published in 2018, also by Omnibus. When not dreaming up stories and chatting with fictional characters, Cate loves spending time with her family. She is a teacher, a voracious reader, and is learning to draw. She loves walking in the rain, pottering in the garden, and taking too many photographs for the amount of storage on her phone. Being part of the SCBWI ACT Team is a privilege and an honour and a heap of fun.